NEW: 2018 itinerary will be sent upon request. We split the tour into two parts for 2018 Spring. Tour 1: From April 7th to 11th, Tour 2: April 11th to April 15th. You can join both or just half of the tour. Travel beautiful rural Japan during cherry blossom season. For flexibility and to avoid heavy traffic, we have our own car service for 4 consecutive days for the first tour and the first day of the second part of the tour. Taste the umami-loaded regional Aka-miso dishes while visiting one of the oldest Miso breweries from the 14th century. Inhale the aromas of a “sweets sanctuary”. La Collina is a year-old facility where we will see the craftwork of and taste Wagashi, traditional Japanese sweets and cakes. Explore Ohmi Hachiman, the equivalent of Bruges in Japan. Formerly a wealthy merchants’ town in the 17th Century, beautiful canals link Lake Biwa, the castle and the old town. The architecture presents photogenic sceneries around every corner. Visit the nationally-acclaimed Mino Pottery Barn and Kitchen Knife store. It’s an essential visit to truly experience the biggest and greatest industry of this region. 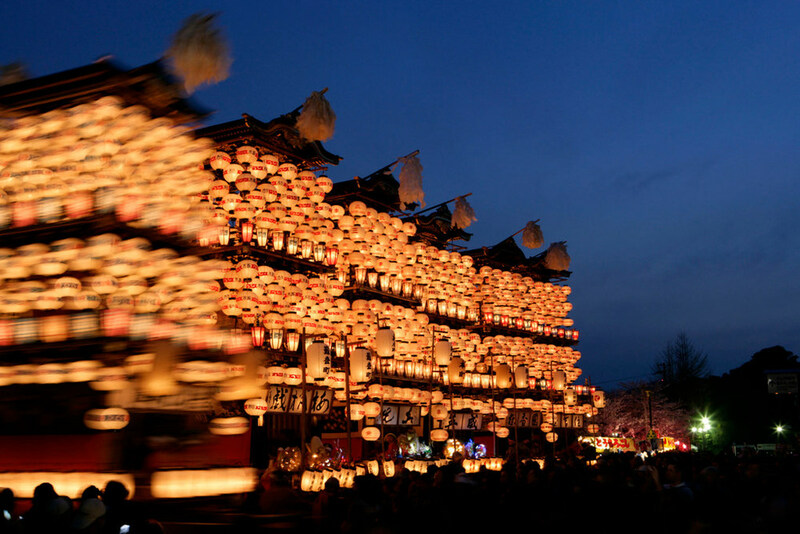 Attend the 383rd Inuyama Matsuri, a seasonal night festival at the old castle town of Inuyama where we’ll see 13 lantern-decorated floats pulled by manpower. Festival at the peak of cherry blossom offers the breathtaking view, especially with all the lanterns at night! Time-slip experience: seeing cherry blossom from the small rustic boat. at La Collina. They both serve Japanese sweets and western cakes. and the garlic rice at the end. Once a vital hostel town supported the old road connects Kyoto to Tokyo. Other costs: Ship your luggage directly to the Isaji residence the previous night or the morning of departure. Accommodation: Isaji Residence in Seki, Gifu. Transportation costs all included in the tour fee. 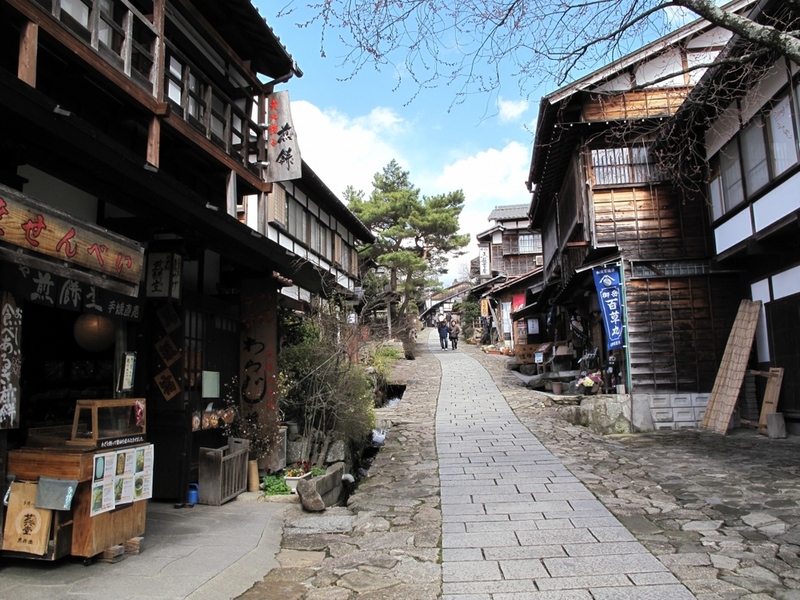 Lake Biwa and its surrounding towns have as old and rich a history as Kyoto. Today we’ll drive a little over an hour to visit two towns in Shiga prefecture, Hikone and Omi-Hachiman. We’ll approach the Hikone castle from the old town district, through water-filled fortification where you'll see a beautiful reflection of cherry blossoms. We'll walk up to the castle where you can look down at Lake Biwa and its surrounding towns. You'll see why this lake has been called "Umi-Ocean in Japanese" by the locals. Then we’ll drive down to Omi-Hachiman to enjoy the canal boat ride and the bento box prepared with local specialties. After strolling the old town and wandering along canals, we head to “La Collina” to observe wagashi-making and of course tasting some if you can. After having a dinner in Shiga, we'll head back to Gifu. Dinner Restaurant TBA: Included, Drink is not included and will be charged separately. We start our day visiting small sake brewery known for producing aged sake for the last few decades. The owner is a true pioneer when it comes to aged sake, and he can't help talking about it with passion. After the morning aged sake tasting, we'll be ready to visit the 1,500 year old cherry trees. If we are lucky, we will see the full bloom of Usuzumi Zakura, one of the three oldest cherry trees in Japan. There is another temple, nearly as old as the cherry tree, worth paying a visit: Kegonji. After strolling old town and the park in Gifu city, dinner will be served at a beautiful old steakhouse. Expect to have one of the best teppanyaki experiences you can imagine. Transportation costs all included in the tour. Our featured meals include: Wajima morning market's grilled fish breakfast, well-known Himi Seaport's best seafood supper at a Japanese inn, a farm-to-table French restaurant, and the breath-taking Kaga Kaiseki cuisine. We will explore the rich regional history of craftsmanship: Wajima lacquer in Ishikawa. Glassware in Toyama. Discover beautiful tableware and sake serving sets that make great souvenirs that you can buy for yourself or as a special gift. Visits to modern architecture works on the tour include the Toyama glass museum and library by Kengo Kuma and The 21st Century Museum by Kazuyo Sejima and Ryue Nishizawa. The historical architecture we will learn about include: The national treasure Zuiryuji-Temple from Edo period to the Michelin one star awarded Nomura residence and its beautiful garden. Taking just a small travel bag, we’ll depart for the Hida/Hokuriku region for 4 days. We’ll be starting off from the furthest point we can reach, Wajima City at the tip of the Noto Peninsula. On the way there, we'll stop by the Unesco World Heritage site Shirakawa-go village and then have an unforgettable lunch at L'evo, the farm-to-table French restaurant that serves its food on dishware created by local artists. 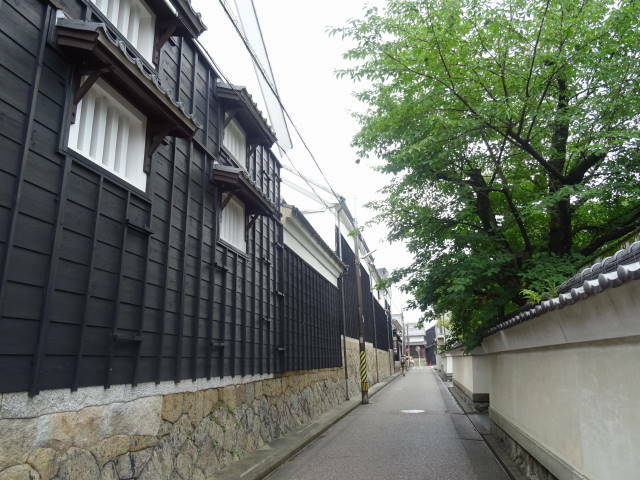 Once we arrive at Wajima, best known for its morning market and Wajima lacquer, we will explore the shops and museums. Transportation costs: All included in the tour. After enjoying breakfast at Wajima morning market where you will buy your own seafood and have it cooked over charcoal, we'll head to the city of Kanagawa. Kanagawa has a rich history of food and culture as it was ruled by the wealthy Lord Maeda clan for centuries during the Edo period (17th to mid 19th C). Considered the cultural hub of the Hokuriku region, there are many sites to see including Samurai house, beautiful Japanese garden, and the contemporary museum. 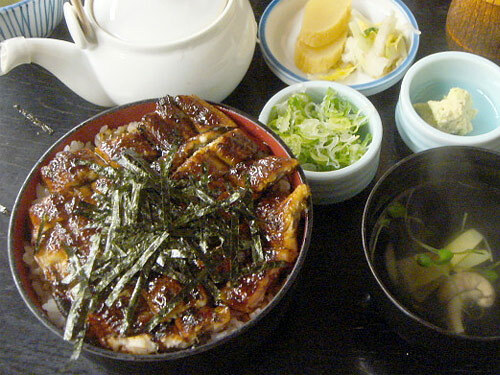 The regional cuisine is called Kaga Ryouri. It is much like Kaiseki cuisine embracing regional vegetables and seafood with a breath-taking presentation. Breakfast: Not Included. Please buy your own at the morning market. Lunch at Ohmicho-Market: Not Included. There are many choices in this market from sushi to regional dishes. You can snack on many small dishes from each vendor, too. After breakfast in Kanazawa, we'll be heading to Toyama, one of the most renowned fishery ports located along the shore of Toyama. We'll enjoy sushi lunch and seafood tempura for dinner. Between meals, we'll walk to Zuiryuji Zen Buddhism temple built in the early 17th century which is now recognized as a national treasure. We will also visit the glass museum in Toyama as the city is known for its glasswork. You will probably find lots to buy in this region as there are numerous great local designers and craftsmen. Leaving Toyama after breakfast, we'll be spending a day in Takayama at its Spring festival. If we’re lucky, we may get to see the cherry blossoms in full bloom. If not, the festival is always still gorgeous with festive foods. After breakfast, we’ll help you depart for your next destination. We can arrange for your suitcases and souvenir boxes to be delivered directly to the airport. Seki Knife Shops Visit (Upon request): No fee will be added. Because Seki is known for its long history of making swords and knives, it would be a shame to miss out! There is also the Mino Hanamikoshi Festival.